Green chili queso, house-made guacamole & roasted tomato salsa served with fresh made tortilla chips or veggies. 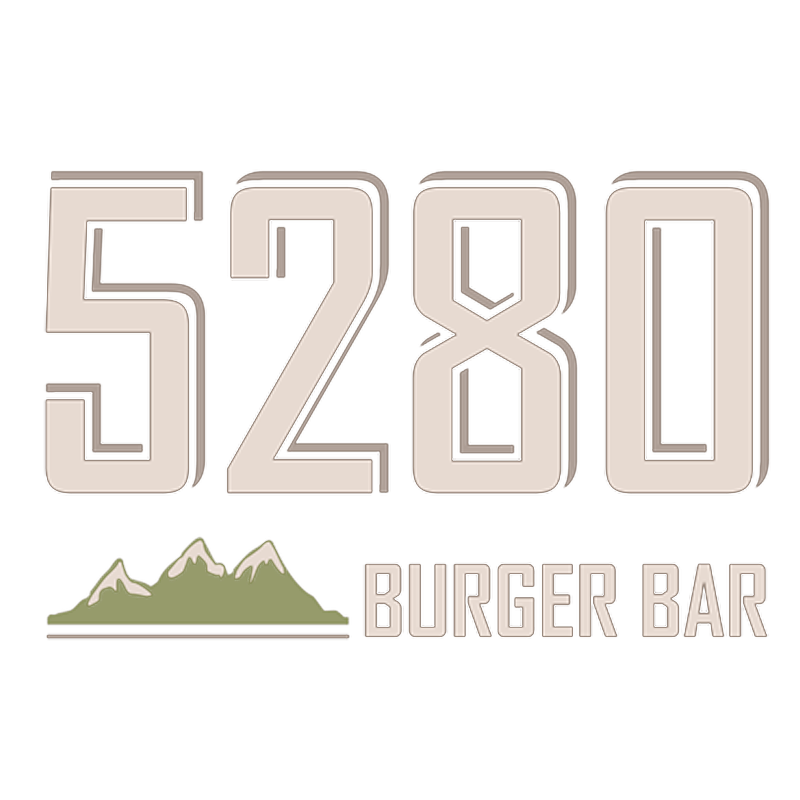 Angus beef*, house-made American cheese, tomato, shredded red leaf lettuce, red onion, kosher pickle & 5280 sauce. Angus beef*, pecan wood smoked bacon, guacamole, white cheddar cheese, red leaf lettuce & roasted garlic aioli. Angus beef, pepper jack cheese, hatch green chili, roasted poblano pepper & crispy tortilla strips. Angus beef, pepper jack cheese, sautéed habanero & serrano peppers, red leaf lettuce, 5280 chipotle mayo & our famous ring of fire sauce order this and your 2nd beer is half off! Toasted marshmallow ice cream, shaved dark chocolate, graham cracker crumbs, vodka chocolate liquer and a toasted marshmallow. Toasted coconut ice cream, pineapple puree and coconut rum. Mint chocolate chip ice cream, créme de menthe and chocolate liquer. Caramelized banana ice cream, graham cracker crumbs, vanilla wafers, vodka, and banana liquer. Sea salted caramel ice cream, root beer and Irish whiskey. Oreo ice cream with vodka and chocolate liquer. Strawberry ice cream, vanilla wafers, vodka, and banana liquer. Chocolate, strawberry, and vanilla ice creams on a split banana with pineapple and strawberry toppings, hot fudge, caramel, sprinkles, and whipped cream. Mexican vanilla ice cream, hot fudge, caramel, whipped cream & pecans. Salted caramel ice cream, hot fudge, sliced almonds & whipped cream. Campfire marshmallow ice cream, hot fudge, graham crackers, chocolate shavings, and toasted marshmallows. Warm homemade brownie with your choice of ice cream, hot fudge, caramel, and whipped cream.